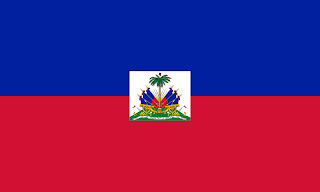 Haiti formally gained its independence from France after a slave revolt. Haitian history states that Jean-Jacques Dessalines, a leading revolutionary, took the French tricolour, and tore it into its constituent parts, and asked Catherine Flon to stitch just the blue and red back together. Taking the new flag, he hung it horizontally from a flagpost. Symbolising Haiti's desire to be never considered as part of France ever again. Another story is that by throwing away the white, Haiti no longer wanted anything to do with "the white man." 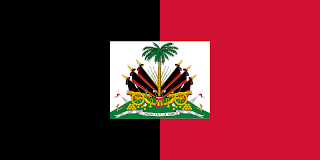 In 1804, Jean-Baptiste Dessalines created the Empire of Haiti, and the new flag saw a vertical bicolour flag of black, and red. It was brought in with a new constitution that banned white people from owning property. Jean-Baptiste was assassinated 2 years later, with Alexandre Petion and Henri Christophe taking power. Swiftly after, Haiti was split in two. 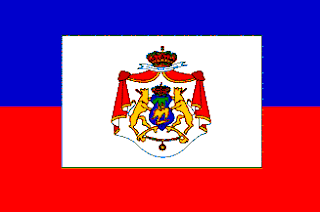 The north became the State of Haiti led by Christophe, and the south becoming the Republic of Haiti run by Petion. Henri Christophe ran the State of Haiti as President, taking the horizontal bicolour used at Haiti's independence, and turning it vertically once more. After declaring himself President for Life, in 1811, he was declared King, and the State of Haiti became the Kingdom of Haiti. His new flag switched the blue to black, and in the centre of the flag he placed his personal coat of arms. He ruled as king until 1820, when, with support for his rule failing, he committed suicide. His son, the Prince Royal was killed by revolutionaries 10 days later. The Kingdom was reunified with the southern Republic being led by President Boyer. Following the reunification of Haiti, President Boyer sent his forces to taken over Dominica, bringing the whole island under his control. During his Presidency, Boyer encouraged freed American slaves to emigrate to Haiti, in the hopes he could gain people with much needed skills. However, many returned to the US due to the difficult conditions, and poverty. In 1847, Faustin was elected President in Haiti, and in 1849, declared himself Emperor. He purged the army and government, and brought in black loyalists, creating a new black nobility. He unsuccessfully tried to unify the whole island, but failed. His failure led to his position being undermined, forcing him to abdicate in 1859. 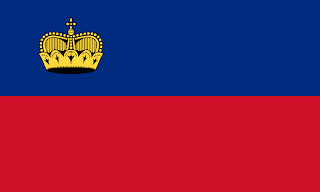 The new republic went back to the plain horizontal bicolour flag, and at the 1938 Berlin Olympics, it was found that Haiti and Liechtenstein shared the same flag, resulting in Liechtenstein placing a crown in the upper hoist canton! In the 1964, under the hereditary dictatorship of Duvalier, a new flag was brought in. This brought back the black and red vertical bicolour flag, and the state flag featured a crest similar to the crest in use now. Using the new black and red flag on the crest, as opposed to the usual blue and red flag. The current flag was finally adopted in 1987, with the creation of a civil flag. The civil flag is the plain bicolour flag, and the state flag has the Coat of Arms placed in a white square in the centre. 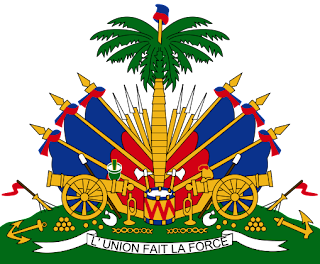 The arms depict a trophy of weapons ready to defend the nation, a Royal Palm of independence, topped by the cap of liberty. Underneath is a scroll bearing the nations motto of "Unity makes Strength" (in English). 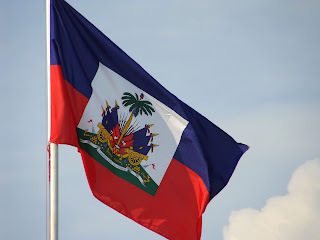 The blue in the flag represents the slaves that made up the majority of the peoples at Haiti's birth. With the red underneath representing the people of mixed race.